"Religious beliefs result from poor education and childhood “indoctrination”. an atheist, secular humanist, skeptic, scientific rationalist, a prominent critic of creationism and intelligent design. .........Innate belief in things beyond what’s rational or natural are common to humans. something we’re born with and essential to the way we learn to understand the world. or the superstitious behaviors that accompany them, will be successful. known around the world through his weekly Hour of Power television broadcast. for the same reason a thief cannot find a policeman. our part consists of almost solely in letting him grasp us. between God and all its creations. 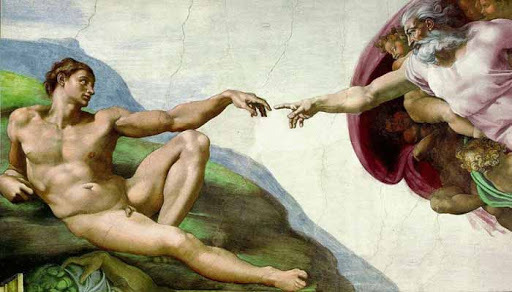 Theologians and philosophers have studied countless conceptions of God since the dawn of civilization. The Abrahamic conceptions of God include the trinitarian view of Christians, the Kabbalistic definition of Jewish mysticism, and the Islamic concept of God. The dharmic religions differ in their view of the divine: views of God in Hinduism vary by region, sect, and caste, ranging from monotheistic to polytheistic to atheistic; the view of God in Buddhism is almost non-theist. In modern times, some more abstract concepts have been developed, such as process theology and open theism. Conceptions of God held by individual believers vary so widely that there is no clear consensus on the nature of God. The contemporaneous French philosopher Michel Henry has however proposed a phenomenological approach and definition of God as phenomenological essence of Life. ATHEISM really may be fighting against nature: humans have been hardwired by evolution to believe in God, scientists have suggested. The idea has emerged from studies of the way children’s brains develop and of the workings of the brain during religious experiences. They suggest that during evolution groups of humans with religious tendencies began to benefit from their beliefs, perhaps because they tended to work together better and so stood a greater chance of survival. The findings challenge campaigners against organized religion, such as Richard Dawkins, author of The God Delusion. He has long argued that religious beliefs result from poor education and childhood “indoctrination”. Bruce Hood, professor of developmental psychology at Bristol University, believes the picture is more complex. “Our research shows children have a natural, intuitive way of reasoning that leads them to all kinds of supernatural beliefs about how the world works,” he said. Hood, who will present his findings at the British Science Association’s annual meeting this week, sees organized religion as just part of a spectrum of supernatural beliefs. Other researchers have found that even ardent atheists may balk at the idea of accepting an organ transplant from a murderer, because of a superstitious belief that an individual’s personality could be stored in their organs. Such work is supported by other researchers who have found evidence linking religious feelings and experience to particular regions of the brain. They suggest people are programmed to get a feeling of spirituality from what is nothing more than electrical activity in these regions. Andrew Newberg, professor of radiology at the University of Pennsylvania, has used brain-imaging techniques to show that such feelings are invoked by activity in “belief networks” operating across the brain. This supersedes the earlier concept of a “God spot”, activated during meditation or prayer. “The temporal lobe interacts with many other parts of the brain to provide the full range of religious and spiritual experiences,” he said. This mechanistic view of religious experience is reinforced by separate research carried out by Michael Persinger of Laurentian University, Ontario, who has used powerful magnetic fields to induce visions and spiritual experiences in volunteers. Barbara Hagerty became one of Persinger’s subjects while researching Fingertips of God, a book on brain processes underlying religion. “I saw images and cartoonish figures. It didn’t convince me there was no God, but it did show me how much the brain is connected to our beliefs and perceptions,” she said. Some researchers argue that humans’ innate tendency towards supernatural beliefs explains why many people become religious as adults, despite not having been brought up within any faith. 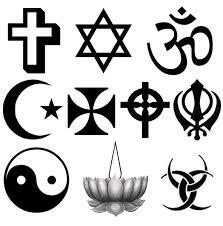 Scientists believe that the durability of religion is in part because it helps people to bond. Professor Pascal Boyer, an anthropologist at Washington University and author of Religion Explained, supports Hood’s view that the origins of religion may lie in common childhood experiences. In a recent article in Nature, the science journal, he said: “From childhood, humans form enduring and important social relationships with fictional characters, imaginary friends, deceased relatives, unseen heroes and fantasized mates. The Rev Michael Reiss, who is professor of science education at London University’s Institute of Education and also an Anglican priest, said he saw no reason why such research should undermine religious belief. ......Is the brain hardwired for religion? Paul's story is interesting not just to biblical scholars, but to neuro-scientists as well. Some scientists claim that the account of this conversion, found in the book of Acts, contains enough evidence to diagnose Paul with temporal lobe epilepsy. The flash of light, the voices and the fall to the ground are the evidence of a seizure, according to these neuroscientists, with the blindness a result of the postictal state that follows a seizure [source: Brorson, Brewer]. While most doctors agree that it's impossible to diagnose epilepsy definitively in someone who lived so long ago, Paul would join some other religious figures reputed to have brain disorders, including Moses and St. Teresa of Avila [sources: BBC, Begley]. As we learn more about what happens in the brain during a religious experience, is it possible that we'll ever be able to create them ourselves? Could we flip a switch and see the face of God? No more meditation, prayer or fasting? A scientist named Michael Persinger thinks it's possible. •Begley, Sharon and Anne Underwood. "Religion and the Brain." Newsweek. May 7, 2001. •Meeks, Wayne A. ed. "The HarperCollins Study Bible, New Revised Standard Version." HarperCollins Publishers. 1993. •Peters, Karl E. "Neurotheology and Evolutionary Theology: Reflections on 'The Mystical Mind'." Zygon. September 2001.